Across the country, when minimum wage increases are passed - whether through legislative channels or ballot measures approved by the voting populace at large - things tend to go smoothly. However, sometimes they do not, which is why elected officials in Michigan are trying once again to raise the state's minimum despite a recent hiccup in the process. Last year, a ballot measure was introduced in the Wolverine State that, if passed, would have raised the minimum wage to $12 per hour, but lawmakers adopted the initiative to take it off the ballot before November, according to Michigan Public Radio. Then, after voters had their say on Election Day, legislators were able to successfully cobble together support to undercut many of the wage - and family leave - improvements they'd previously adopted before a new legislature was sworn in after the new year. While the increase to $12 per hour remained the same, the timeline for instituting it was lengthened from "by 2022" to "by 2030." Now, the matter is headed to the state's Supreme Court, and business interests in particular are pushing for a quick decision, before the end of March, the report said. At issue is whether the changes made to undercut the wage hike were constitutional. Of course, the efforts to weaken the minimum wage increases late last year might not remain in place for long because Michigan lawmakers are already hard at work reintroducing the same kinds of pay hikes sought by the ballot measure, Michigan Public Radio further reported. Both the state House and Senate now have new legislation that would reinstate the will of the people - a $12 minimum wage by 2022. Whether the increases will pass is another matter, because of who controls both chambers of the legislature. Meanwhile, in addition to the Supreme Court, whose opinion would be taken in an advisory manner, the state's Attorney General may also make a decision on whether the changes to the ballot measure were legal, the report said. 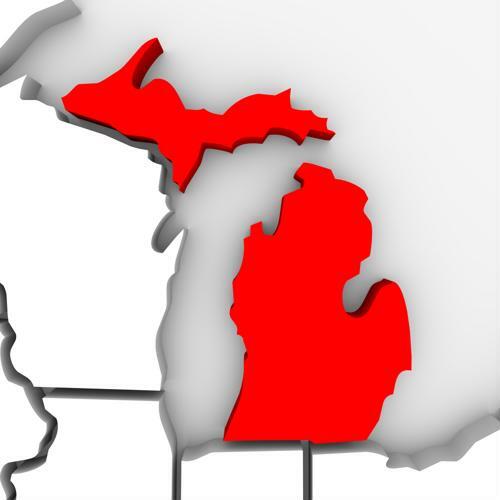 Currently, the Wolverine State has a minimum wage of just $9.25 - comfortably above the federal level and higher than several of its neighbors - but nonetheless not considered a living wage, according to Lansing television station WLNS. However, lawmakers want an immediate rise to $10 per hour, and then the slower growth to $12 by 2022 that was supported by some 400,000 state residents who signed the ballot measure petition last year. "This is something that we'll continue to drive on and on, until hardworking families are paid the wages that they can have a sustainable living, that they can end up raising their economics" Rep. Bill Sowerb, a Democrat representing Clinton Township, told the station. "And that will only be good for the entire state." With the minimum wage potentially on the rise in Michigan, and assuredly growing elsewhere, companies need to get out in front of legislative trends. Increasing pay and the quality of benefits for workers is vital to attracting and retaining talent in a competitive job market.